While numerous cellular and gene therapy products have seen strong initial clinical successes, only 14 have been approved for use by the FDA to date. However, this continued success has driven significant investment in these next-generation technologies by both large bio/pharma companies and start-up specialist firms backed by venture capital dollars. More than 750 companies worldwide declare themselves to be in the “regenerative medicine” market space. From 2015 to 2016, there was a 21% increase in the number of cellular and gene therapy drugs in clinical trials, with 271 in phase I, 465 in phase II and 66 in phase III. Of course many of these companies are eager to join the minority and advance beyond early clinical trials to phase III and commercial products, but they lack the manufacturing capability. There is a significant need for equipment manufacturing partners with the specialised expertise necessary to innovate and implement novel manufacturing solutions that will help accelerate the commercialisation of these advanced treatments that have tremendous potential to improve patient lives. Cell and gene therapies are currently produced in fixed facilities that require a significant upfront investment. Modular concepts offer an opportunity to shift from these large, fixed assets to networks of smaller, standardized manufacturing systems where smaller processes require higher segregation and containment. Standardisation of the manufacturing systems provides the customer with an opportunity to accelerate the delivery of therapies to the market and to improve product quality and patient safety. The responsiveness of supply chains needs to have the flexibility and standardisation to add additional capacity as well as being suitable for the development of new products. Ultimately, the approach can further the miniaturisation of processes to enable the delivery of personalised medicine at the bedside of a patient. Modular concepts offer a potential solution to these problems, as well as opportunities to enable new types of therapies. By using standardised, modular designs for manufacturing isolators, companies have the potential to accelerate drug development and launch; defer decision-making on adding capacity until later in a product lifecycle when there is more certainty about clinical trial success and market projections; and enable the rapid addition of capacity by 'scaling out' to respond to changes in market demand without disrupting existing operations. As with all aseptic systems that deal with an open process, a Grade A environment must be attainable as defined by EU GMP Annex 1 (ISO 5 as ISO 14644-1). 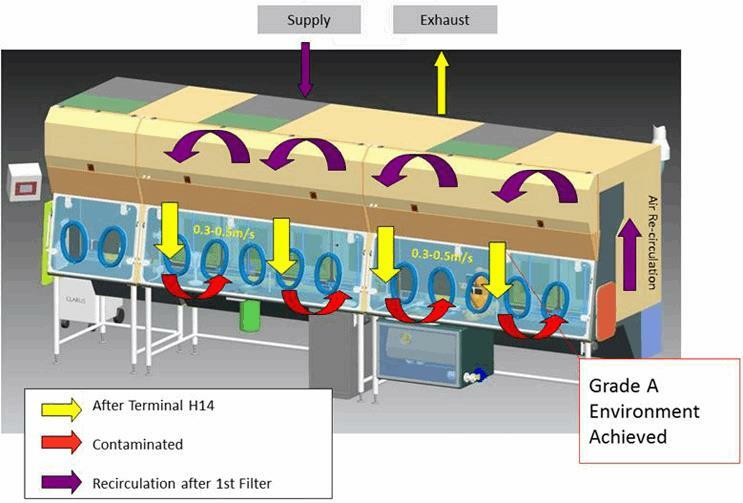 This will include laminar flow across the operational process. The formal cleanroom testing for classification should be done as per EN ISO 14644-1 standard and for pharmaceutical processes an environmental monitoring of operational process per EU GMP Annex 1. Comparison Annex 1 to EN ISO 14644-1 is given in Table 1. The earlier standard FED STD 209E is also given for reference. Each chamber is positively pressurised relative to the room and the ante chambers to ensure no viable particles are transferred into the aseptic chamber following de-contamination. Both viable and non-viable particle counting methods should be employed close to the process in order to continually monitor the environment conditions ensuring repeatability in all steps. Before work can start each chamber is bio-decontaminated using VPHP (vapour-phase hydrogen peroxide) utilising an integrated gas generator. Hydrogen peroxide (H₂02) is recognized by the FDA and other regulatory agencies as a means of surface bio-decontamination. Gerald McDonnell and A. Denver Russell – Peroxygens - Hydrogen peroxide. Hydrogen peroxide (H2O2) is a widely used biocide for disinfection, sterilization and antisepsis. H2O2 is considered environmentally friendly because it can rapidly degrade into the innocuous products water and oxygen. H2O2 demonstrates broad-spectrum efficacy against viruses, bacteria, yeasts and bacterial spores. Higher concentrations of H2O2 (10% to 30%) and longer contact times are required for sporicidal activity, although this activity is significantly increased in the gaseous phase. 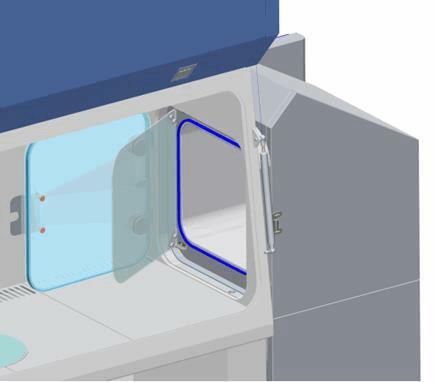 This means that a Grade A isolator can be positioned into a lower grade cleanroom compared to a traditional LAF bench (i.e., Grade D/ISO 8) with the need of graded step increases and additional gowning procedures not required, saving time and cost. There are several distinct advantages in using an isolator over a cleanroom. The utilisation of isolator technology is to minimise human intervention in processing areas resulting in a significant decrease in risk of microbiology contamination from the environment within the aseptically manufactured products. The air classification required for the background environment depends on the design of the isolator and its application. It should be controlled and for aseptic processing it should be at least Grade D/ISO 8. One advantage in processing cells within a cleanroom environment is the space to include a variety of the required processing equipment, such as microscopes, fridges, centrifuges and CO₂ incubators. The move from cleanrooms into isolator technology also means integrating this equipment without breaking the advantage of sterility with the processing chambers. With some of the equipment this is fairly simple, such as the microscope. Traditional microscope eye pieces are no longer possible due to the physical barrier design of an isolator. Advanced optical cameras are linked to software loaded onto a PC, and managing cables for power and data transfer in and out of isolator chambers has been done successfully for years. Managing larger equipment, such as the centrifuge and incubators, presents its own set of unique challenges. How do we ensure that integrated equipment will not compromise the sterility of the isolator chambers? 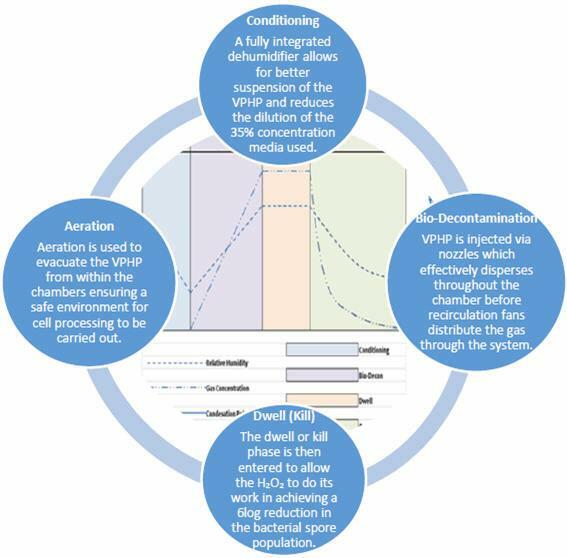 The solution is to integrate the equipment within dedicated chambers and gas these independently, thus managing the aseptic boundary. The ability to integrate the process specific equipment and offer a standard off-the-shelf solution was the driving force in the development of the Modular Cell Therapy Isolator solution. This approach to managing the requirements and budgets of customers is essential in designing standard offerings compared to the bespoke route. Having dedicated chambers for different processes would equate to a picking list, empowering the client to select the best combination of options to suit their requirements. While there are several advantages for isolator technology over cleanrooms, one of the limitations is the number of essential pieces of equipment required for the process. Take Incubators, for example. With one incubator being utilised for each patient, integrating an increasing number to cope with demand becomes impractical. 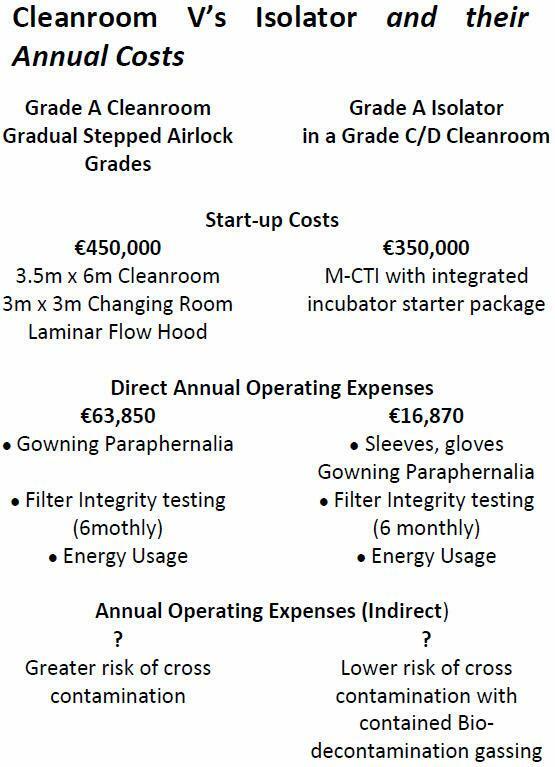 Remote incubator pods seemed like the obvious solution and we looked at several methods to achieve this without compromising the integrity of the incubators or the aseptic boundary created with the process chambers. Our advanced systems research and development team came up with the solution: Remote incubation pods powered local to their storage area, ready for transport to the processing chamber. 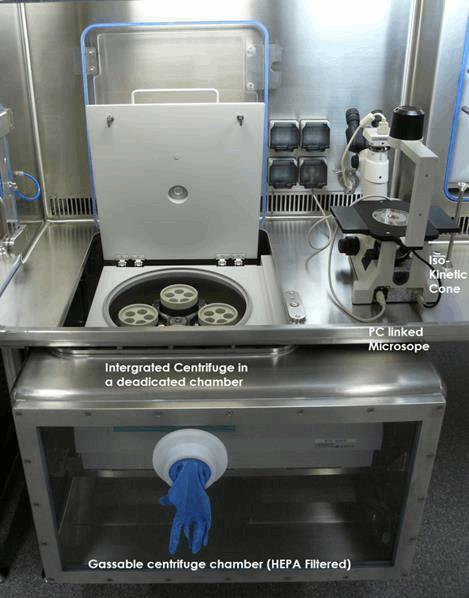 The critical environment kept within the tight, required tolerances then docked to the Modular Cell Therapy Isolator (M-CTI) via an aseptic docking system (ADS). The incubator spigot docks into the ADS via a simple and robust male into female connection. This connection is made gas tight with an inflatable seal -- a system tested through many years of application by Extract Technology. This forms a cavity between the decontaminated environments of the incubator and the M-CTI chambers. The cavity can be bio-decontaminated with the on-board gas generator independently, and the pressure cascade is maintained, ensuring that the VPHP does not migrate into either the chamber or the incubator. 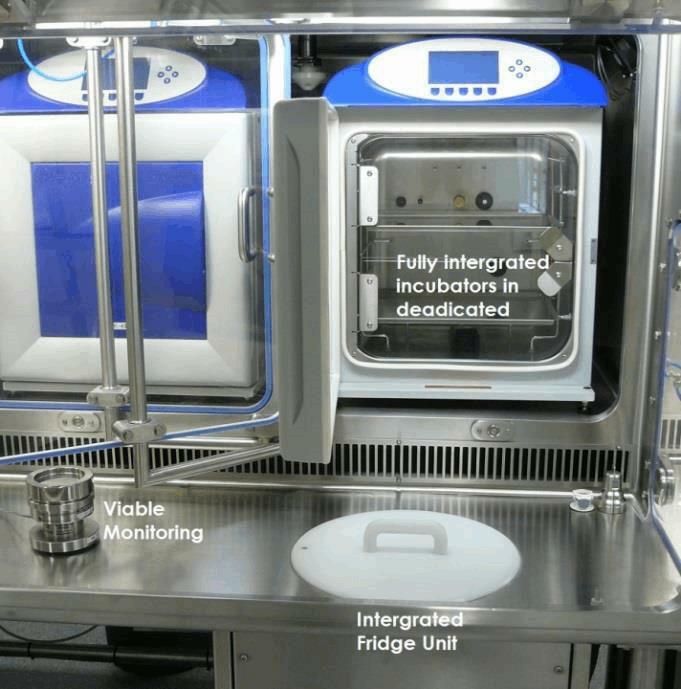 Once cells have been processed the incubator can be transported back to its remote docking station. 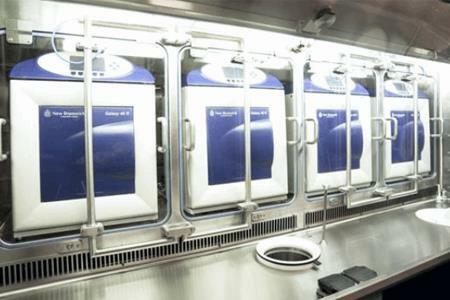 The system cleaning regime or a gassing cycle can be carried out in readiness for the next incubator to be brought in and cells processed. Having incubator pods on stock, built and validated ready to ship, customers now have the flexibility to increase demands with unlimited capacity restriction. ATMP (Advanced Therapies Medicinal Products) require advanced process products and we’re on the verge of applying the same manufacturing processes as seen in the more traditional pharmaceutical markets to ATMP. It is Extract Technology’s responsibility, as equipment manufacturers, to meet the changing demands with innovative flexible solutions that enhance the production in a reliable, robust and cost-effective way. The ultimate goal being the small part we can play in positively affecting patient lives.